Lock in a great price for Yululu – rated 8.2 by recent guests! We were 5 friends and staying in the family room on futons in the room next to the kitchen. Lovely house, nice to have a small balcony and kitchen to use. Easy walk to the main sights, loved it! Helpful and kind staff, they have 2 bikes you can rent 500yen/day. Perfect location! Very good free coffee. Loved the staff here. Such a cozy atmosphere all over. You can use the washing machine for 200yen, that was super convenient. The dorms are great: you have your own little booth with a little curtain, so it almost feels private! You can hire bikes for 500yen a day. Loved exploring the lovely neighbourhood by bike. Thank you Yululu, I will definitely be back! The traditional family room with it's own private garden ! The staffs were courteous. Ryota is very conversant as we discussed different topics and he's really kind. He even served us coffee and tea while we shared different experiences. It was really fun! Location is perfect! Neighborhood is beautiful and quiet. Many restaurants around. Kitchen is small but awesome. Fridge is available for your morning yogurt. Not far from station. Surrounding by restaurant and shops. Really cute and cosy place. Small homely feel and different to the larger hostels you get in japan. Staff were friendly and helpful with an early check in. Kitchen has seasonings you can use and is well equipped, including free tea and coffee. Location is perfect, walking distance to lots of sites and the subway. I would definitely stay again. Dorm is small but still offers enough space per person and the bunks/pods are private, with a curtain, space for your bag, light and plug. The only things that saved the experience were the very helpful, polite and friendly staff, and the great location near lots of popular tourist spots. Yululu This rating is a reflection of how the property compares to the industry standard when it comes to price, facilities and services available. It's based on a self-evaluation by the property. Use this rating to help choose your stay! One of our best sellers in Kyoto! Just a 3-minute walk from Karasumaoike Subway Station, Yululu is a Japanese-style guest house that offers both private and dormitory-style rooms in downtown Kyoto. Free Wi-Fi is provided throughout the property. Yululu features bunk beds in dormitory-style rooms, and Japanese futon bedding on tatami (woven-straw) floors in private rooms. All rooms come with air conditioning facilities and some rooms also include a fan. Bathrooms and toilets are shared. Free luggage storage is available at the front desk from 09:00 until 16:00. Rooms are nonsmoking, but guests can smoke in designated areas within the property. The shared kitchen comes with a fridge, a toaster and a stove. Draft beer can be purchased on-site while coffee and tea are provided free of charge. From Yululu Guest house, Manga Museum is a 5-minute walk and Nishiki Food Market is within a 10-minute walk away. Kyoto Imperial Palace, Nijo Castle and Gion are each a 20-minute walk away from the property. Kiyomizu Temple and Golden Pavilion are both a 30-minute away by city bus. JR Kyoto Train Station is a 10-minute train ride away. 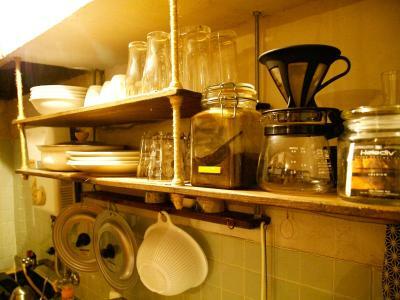 뀐 Located in the real heart of Kyoto, this property has an excellent location score of 8.8! When would you like to stay at Yululu? The rate is for 1 person in a mixed dormitory room that accommodates up to 6 guests. Bathroom and toilet are shared. Each bed comes with a luggage storage area, a privacy curtain and an electrical outlet. This air-conditioned room features tatami (woven-straw) flooring and Japanese futon bedding. Bathrooms and toilets are shared. Includes a small private balcony. House Rules Yululu takes special requests – add in the next step! Children 13 and older are allowed at this guesthouse. Yululu accepts these cards and reserves the right to temporarily hold an amount prior to arrival. Please note that check-in hours differ from front desk hours and are from 16:00 until 21:00. Late check-in after this time is not accepted. The front desk is open from 09:00 to 12:00 and from 15:00 until 22:00. Additional charges apply for luggage storage before 09:00 and after 16:00. Kitchen was quite small so if one person was cooking you couldn’t really use it. Only one shower so can be difficult when there’s lots of people needing a shower. The beds were very uncomfortable, and it was extremely hot in the room, with no air conditioning. Luckily, my boyfriend and I had two beds reserved in the mixed room, so we put two mattresses in one of the beds and shared. Everything is really old so the floors creaked with the tiniest movement and it was almost impossible to rest well with all the noises of the old house/people throughout the night. The shower room/bathroom downstairs smelled as though someone just threw bleach at it and hoped it would clean itself. Too much noise. The house is a little bit old and for that reason the floor makes a lot of noise. Accessable from station and near good spot in the middle of city. As there are only 2 shower rooms you have to hope that other hostel guests don't spend too long in the shower! The mattress could be a lil bit thicker. The staff starts to clean the empty rooms at 9h so if you want to stay a little longer in bed, you cannot because it's too noisy. Sorry. They could also add a trash bin in the room. But super place and staff. No breakfast. No table. Just one shower room for ALL the guests. I like the staff. Hana, you are great. Small, quaint but welcoming. The owners were nice and helpful. Good command of English and Chinese. 5min away from Karasuma Oike, round the corner from Kyoto Museum, 15min walk to Nishiki Market and Sanjou area. Pontocho is not that far either. Walkable to Gion. Family Mart and 7/11 nearby. The cosy feeling im the heart of Kyoto. Our best stay in Japan. Everything was super clean and confrontable. Our host was very nice and helpful. Totally recommend! There was a gap between the door and the wall and every evening the whole guesthouse smelled like meat from cooking.. we are vegetarian so it was very bad for us..